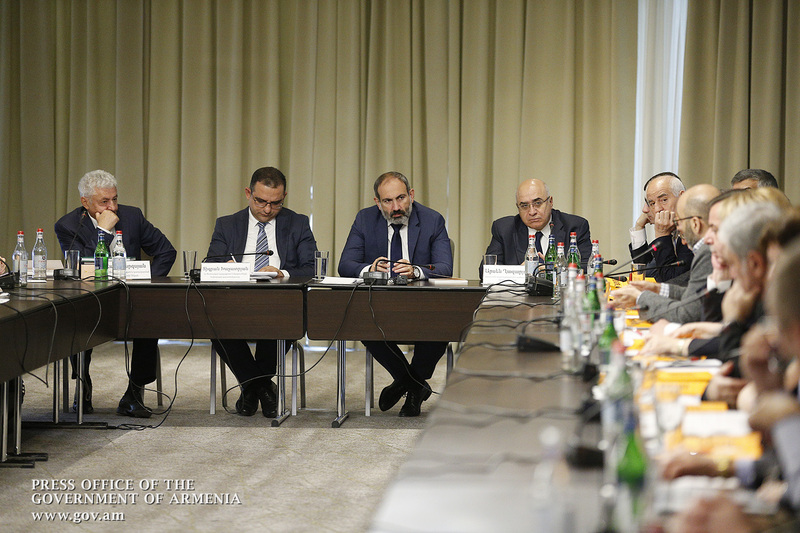 Acting Prime Minister Nikol Pashinyan attended a workshop entitled “Current Challenges and Strategic Directions of Armenia’s Economy Development.” The forum kicked off with speeches on Armenia’s current socio-economic development status. 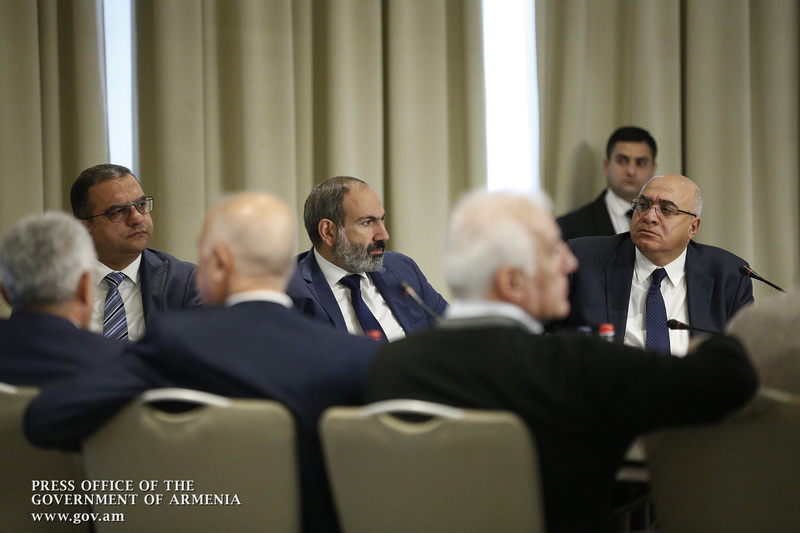 Nikol Pashinyan listened to the speakers’ reports on raising the level of constitutionality in Armenia, the improvement of the public administration system, the new public contract, the institutional transformation and the current state of the economy and the development of the issues, following which the participants presented their positions on the topics discussed and the questions around. 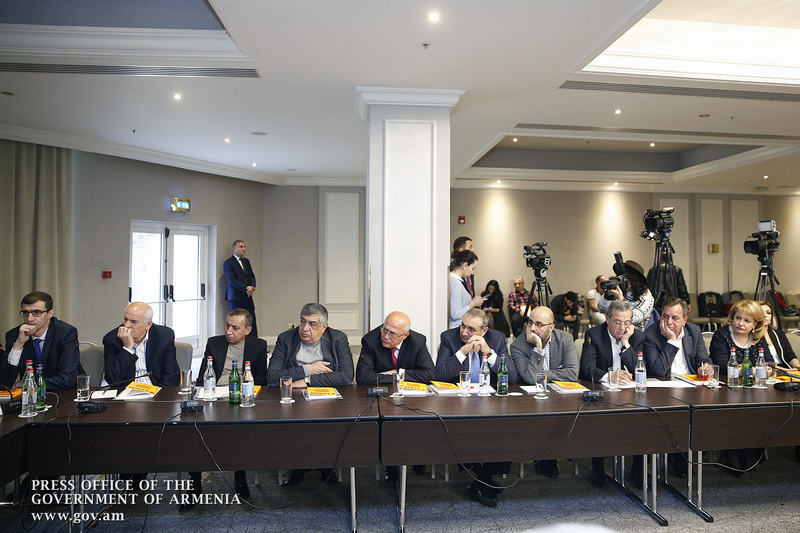 Referring to the issues discussed in the reports and summarizing the discussion within the framework of the first part of the conference, Nikol Pashinyan said he was inspired by its results. “In fact, at the very least, the first 5 reports outline the logic and priorities of our steps, what we do in the course of this time, we try to do and try to do better. For example, after the revolution, when we were constantly questioning economic issues on political platforms, first of all we underlined the importance of constitutionalism in the country. Everyone was saying that this is a political issue and we should talk about the economy. We were saying that the most important thing for the economy is legitimacy, the equality of all before the law, the formation of an environment of justice. 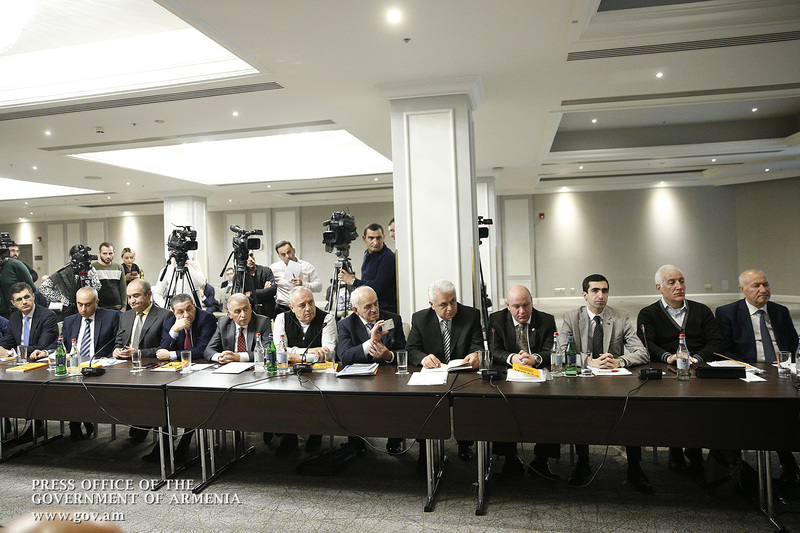 The Acting Prime Minister spoke about those issues raised in the report on the new social treaty, including the opportunities created by the revolution, the criticism of the government, and the government’s actions. “In my opinion, this perception is the inertia of the old political system, because if the government takes up all levers and gives all solutions, then it should naturally be held responsible for everything else. This is nonsense, but it is what we used to have. Everyone wants the government, moreover, the prime minister go into the details of micro-management. The government’s task is not to check the workings of every single cell, but to ensure the healthy functioning of the body itself. Here the most important thing is to formulate an accurate diagnosis and take steps to that effect. Our ideology today is as follows: there is possibility for different layers of society to assume a role and responsibilities for solving issues. During our political activities, at least since 2015, when we formulated our political vision, the individual effort has been crucial to resolving all public issues and we believe that these opportunities have been created today. The most important task is to change people’s behavior, and in fact, the revolution took place only because of the change in the citizens’ behavior,” the Acting Prime Minister said. According to Nikol Pashinyan, there has been a change in political behavior and this has solved the problem of political revolution. With the change of economic behavior we will be able to solve the problem of economic revolution, depending on how taxpayers understand their fiscal liabilities: a burden, a sentence, or as participation in our country’s economic, political and social development? “Changing the taxpayer’s behavior and the public perception of businessmen is a top priority that needs to be addressed today. We must admit that for a long time there used to be a negative attitude toward business with few exceptions. The point is that they were permanently involved in political processes, and the government was interested in their involvement in political processes. Things have changed today. For instance, the number of business-related candidates in the upcoming parliamentary elections is at record low. But I do not want it to be interpreted as kind of downgrading or humiliation for business people. This is the opposite process, and I think that as a result, a businessman should mean much more than a deputy, because the businessman is the person who creates a product, who provides jobs, who pulls the locomotive of the state revenue, and as a result, we all have the opportunity to form the platform where economic, political and international geopolitical changes should take place in our environment,” Nikol Pashinyan underscored. 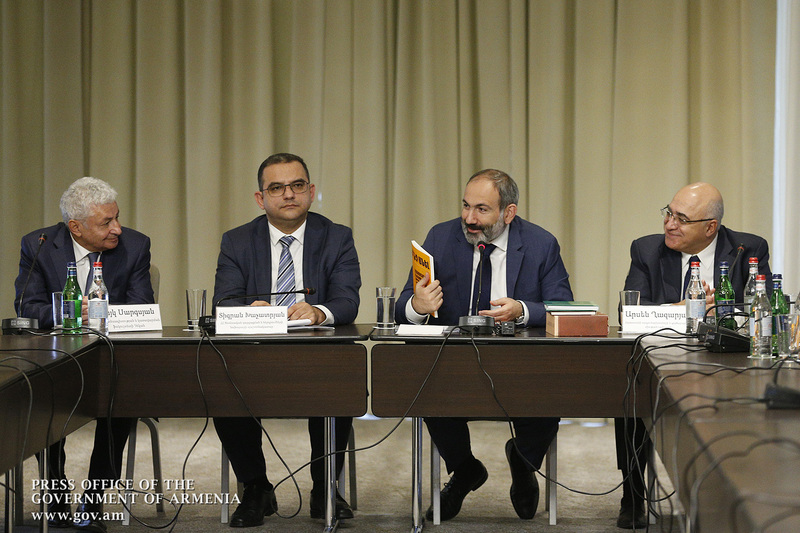 In his speech, Nikol Pashinyan touched upon the current situation in the universities, the educational system and the effectiveness of research centers. 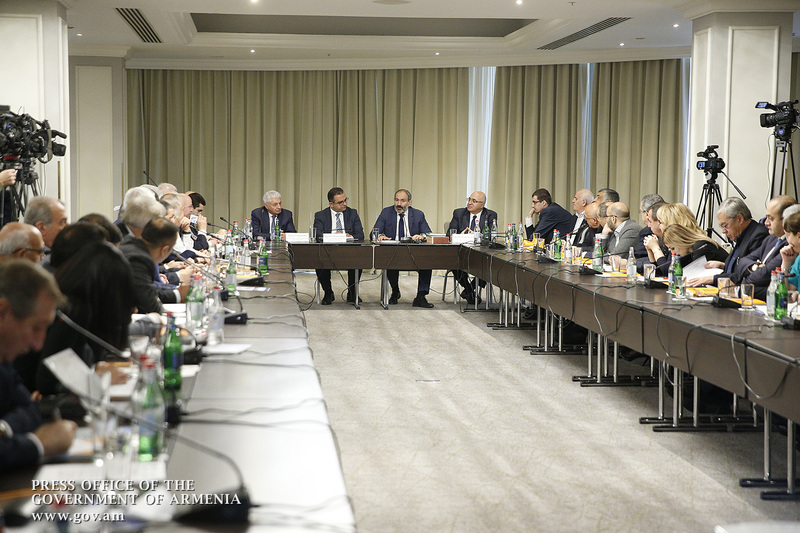 Nikol Pashinyan noted that an incomprehensible institution of state and departmental universities has emerged in Armenia and this is also a matter of the efficiency of public administration. “We spend so much money on education, but we are actually spending much more, because there are agencies that finance their own universities. And as a result, we have the following situation: when graduates go to a government office for a job, they are told that their diploma is worth nothing as they had to study at the affiliated institution. This approach is definitely unfair and unacceptable to me. Institutions should be combined and harmonized, and we should set science, research and education on the same rails,” the Acting Prime Minister said, attaching importance to the science-economy-government-community active communication. “Many great discoveries and advances in the modern world have been made on the ideas found in student essays. And how many students are today writing essays? Walking in the city center one can see more essay selling kiosks than cigarette sellers. It seems that this has nothing to do with ourselves, but the decay goes right there. 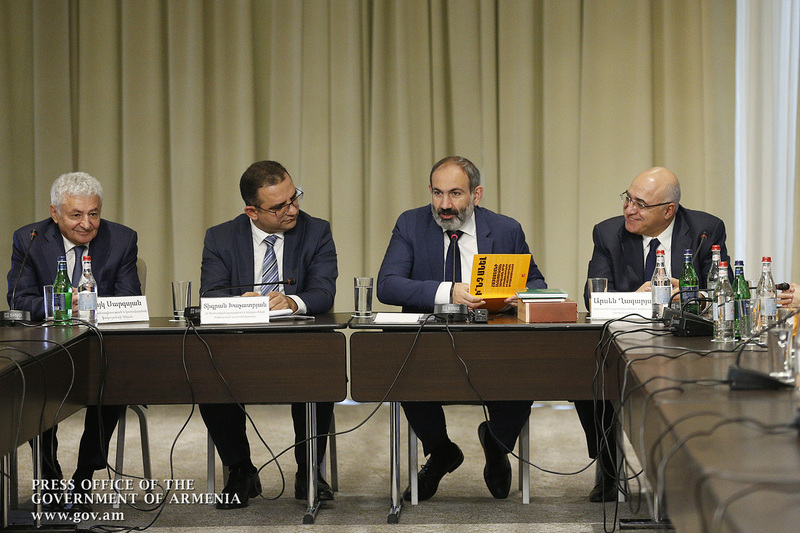 We need to raise the standards and take steps to internationalize our universities,” Nikol Pashinyan said. 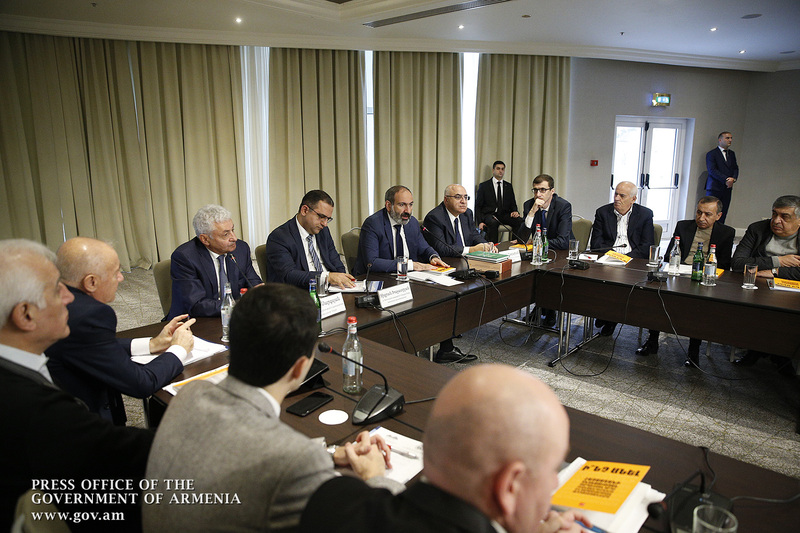 Regarding the prospects of Armenia’s economic development, Nikol Pashinyan said: “Our economy and politics should first of all serve our strategic needs. In this regard, we should not forget that security is one of our strategic priorities. We have the potential and possibility to build such an economic environment. 1. We must agree that the lack of rule of law in our country, the lack of democracy should not be conditioned by the security environment. The Acting Prime Minister said with satisfaction that during the discussion he did not hear any sentence with which he could not agree. “This makes me happy, because it means that we have a sense of public consciousness about what we have to do. We have communicated with some of those in attendance during this period, while we have not yet talked to others, but what can be the next important outcome of our revolution is perhaps the restored feeling of our common values. 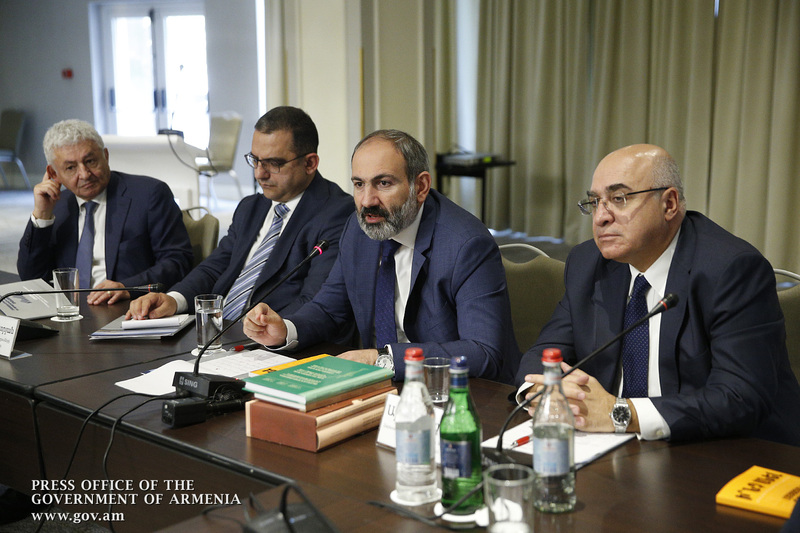 As we are facing the same realities, we can come to the same conclusions and draw the roadmap of future action,” Nikol Pashinyan said. 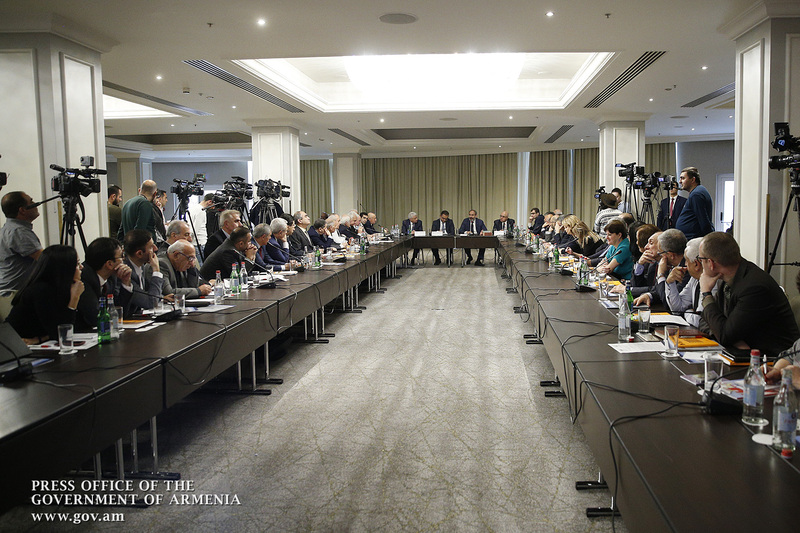 Stressing the need for holding similar meetings as they help generate and implement ideas, work out roadmaps, find solutions and listen to each other, Nikol Pashinyan said he was open to such discussions and ready to meet again.